Epson’s annual ISV Partner Conference is geared towards ISVs in the retail and hospitality space, but the takeaways below can apply to software companies in any vertical. Here are some of the high-level themes from my two days in Phoenix networking with 70+ software companies and technology executives. 1 – Faster is not always better. As a software company, you might be reading this bullet point thinking this philosophy is a recipe for disaster. Luis Artiz, Epson’s Group Product Manager, talked about needing more “voice of customer” data before diving in head-first to the self-serve kiosk pool. Epson still certainly plans to address this opportunity, and Artiz even went as far as to say it has gained traction and adoption faster than anticipated. But the buzz generated by a shiny new opportunity shouldn’t derail the process for planning and analyzing. 2 – Use resources wisely when it comes to new initiatives. Having the patience and discipline to develop the right solution the first time around is going to save you time and money in the end. The same goes for entering a new market, developing a new product line, or building out a new sales channel. Epson’s VP of North America Commercial Marketing, Mark Mathews, explained how the company stays true to its core belief of only entering a market if it can be #1 or #2 in that market. That belief has much to do with volume driving down manufacturing costs, but the principle also applies to software providers. Don’t waste precious resources just to dabble in something new just for the sake of doing it unless you are certain it’s going to help you win long-term. 3 – Don’t shortcut user onboarding. Think about that from the standpoint of onboarding new customers. You can try to streamline your product education and automate follow up messaging, but nothing is a substitute for actually using your software in a customer’s day-to-day work environment. That’s you’re your customers are going to learn the most about your software. There’s no shortcut for that, so be patient as the adoption process plays out and be sure to continue the onboarding process well after the those first few days after the contract is signed. 4 – The data your software provides customers is only powerful if those customers act on it. In an industry panel about kiosks and online ordering, Andrew Lambert hit home on this. He’s a VP at FOREKNOW, a marketing software solution that runs predictive messages and analytics powered by A.I. He said, “You can have an app, you can have a kiosk, you can have a really great website, but if you’re not doing anything with that data after the customer places the order, then you’re missing out.” It’s up to software vendors who serve those customers – be it customers in the retail/hospitality space or any other market – to harness the power of the data their software provides. 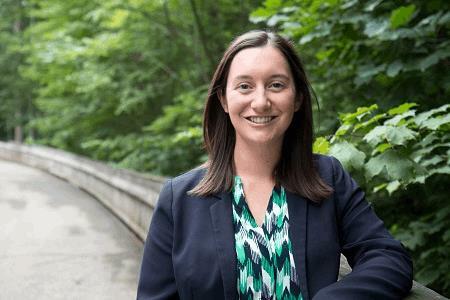 Don’t just assume your customers are accessing analytics and reports your software providers, even if they bought your software specifically for that data. Get on the phone with them and walk them through that data and what it can do to transform their business. 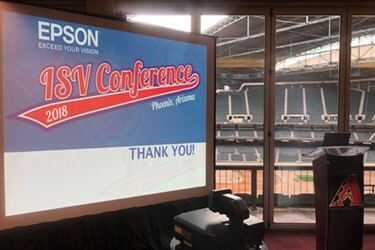 Epson’s ISV Partner Conference was hosted at Chase Field, home of the Arizona Diamondbacks, in Phoenix, AZ from November 12-14. Stay tuned to learn how ideas from this event can help you personalize your relationships with both reseller partners and customers.